Previous Here On The Farm…..
She lived beside a giant blackberry patch, but year after year the birds always beat her there. 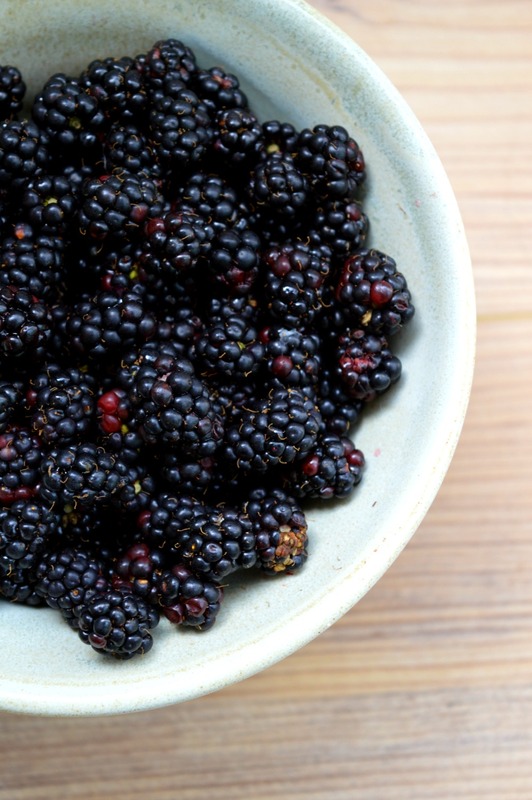 But this year she made it her mission to get there first and checked on said blackberry patch every day for months and months, watching the little berries grow, and change colours until finally they were that beautiful dark jewel tone. Lovingly she gathered the berries, day after day into a bowl. She would eat them as snacks throughout the day, or on top of oatmeal and yogurt, and finally when she thought she may drown in them she found this coffee cake recipe and her skirt flew up. How long has it been since a coffee cake made your skirt fly up? Note: You can omit the lemon juice and water and use 1/3 cup of fruit juice instead. I didn’t have any juice on hand so this is what I used and it worked very well. In a large bowl beat the butter and sugar together until fluffy. 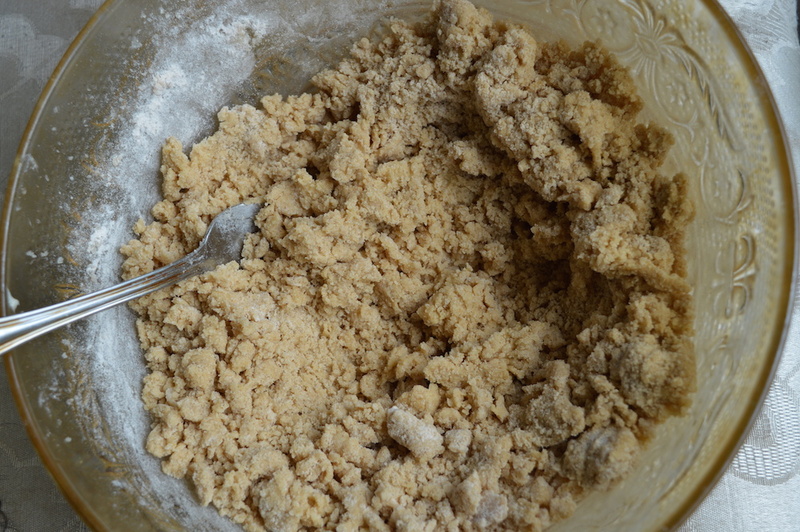 In another bowl mix together the flour, baking soda, salt, cinnamon, and nutmeg. 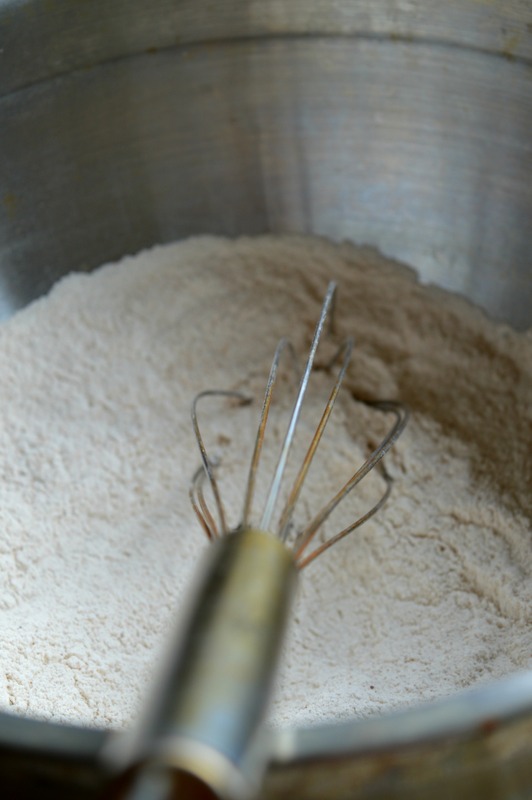 Whisk until everything is thoroughly mixed together. Add the flour mixture to the sugar mixture and stir to combine. The batter will be pretty thick and crumbly looking. Mix in the vinegar, lemon juice, and water. 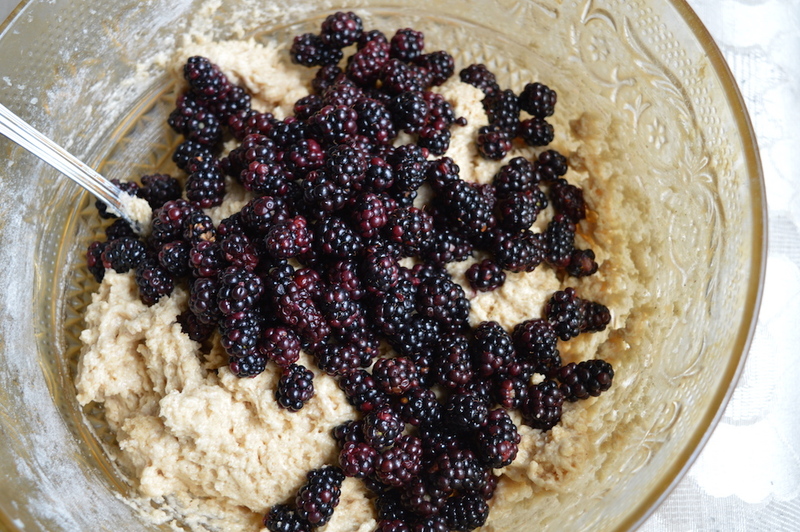 And last but not least fold in the blackberries. 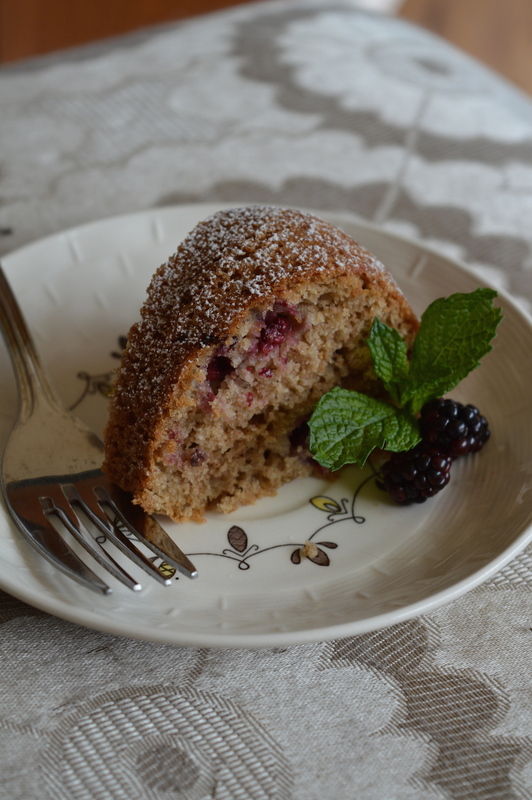 I was pretty gentle on mine because I wanted the berries to hold their shape, if you want berry puree mixed more throughout the cake feel free to get rough with them. 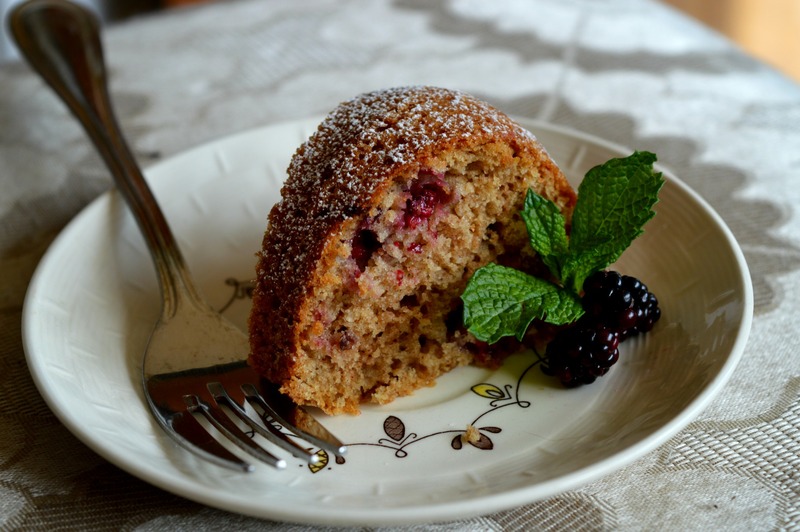 Pour into the prepare pan and bake for 40 – 50 minutes, or until the cake in the middle springs back when lightly pressed. You can let it cool in the pan or invert it like I did. A little dusting of powdered sugar finishes it off beautifully. For those who saw the tease I put out on Instagram about this cake over a month ago – I am very sorry for how long it took to get this posted. 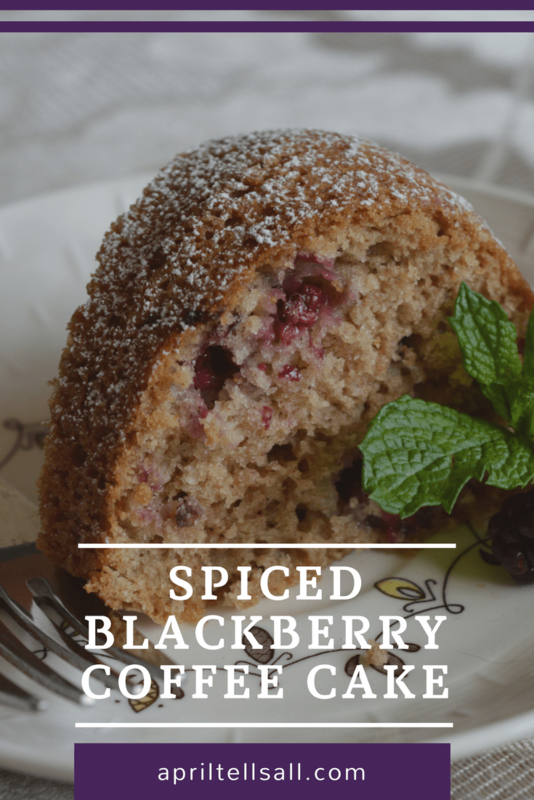 So let’s pretend that blackberries are still in season, and I posted this on time. Seriously, this cake. Get some. And hold your skirt down.